Here is why you need to incorporate body oil into your daily beauty routine! "Now I'm in my 30s, I appreciate my skin more than I ever did." My skin was pretty good to me through out my 20s. I had the normal breakouts for a girl my age, but given how I treated my skin, it was pretty good to me in return. This is in hindsight, mind you (such a wonderful thing). At the time I would get frustrated, angry that my skin looked dry or that a nasty hormonal pimple had decided to crop up right before a date, or a party. I expected it to be perfect but didn’t do a lot for it in return. My skin bore the brunt of a multitude of sins; days at the beach, late nights and not nearly enough water. When I look back on how I felt about my skin throughout my 20s, it’s now that I’m into my mid 30’s that I truly appreciate it. Where were you when I was in my 20s? Image: Supplied. Thirty brought for me a new appreciation of my body; a comfort and ease that I never had before. Like so many women I worried far too much about how I looked, how I wanted to look. When I hit the big 3-0 it was no longer about my flaws that I focused on but instead I looked at all the things I liked, and I started to realise how important it was to take better care of myself. The main one for me was my skin. By 30, I had three children. My skin had seen some changes, I can tell you that. Dryness, itchiness, overall tone and texture. None of them were what they used to be. 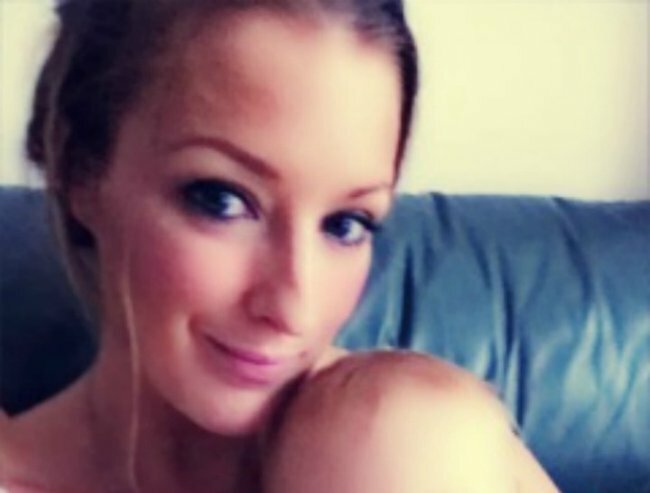 It’s been stretched and moulded and now that I’m expecting baby number four I’ve realised how important it is to give my skin the right things to keep it soft and hydrated. This is no longer a one-way relationship but more one of mutual respect. Pregnancy has taken its toll on my skin, but this time I&apos;m prepared. Image: iStock. I was never one to use a moisturiser daily. "I don&apos;t have time," I’d think to myself. My routine was very much one of "If I remember to do it, I will". I could never understand why my skin looked dull (huh!). 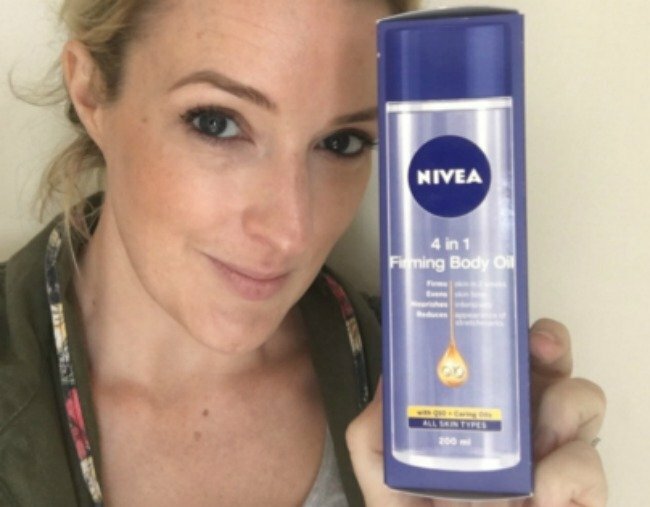 Recently I have been introduced to NIVEA 4 in 1 Firming Body Oil. Don’t let the name fool you, the oil itself absorbs quickly and leaves the skin softer than any cream I’ve used previously. It’s perfect for my dehydrated change-of-season skin and is safe for use during pregnancy. Not only does it hydrate and nourish the skin but it also firms and evens skin tone, one of my biggest concerns both during and after pregnancy. In the short time I’ve been using it I’ve noticed a distinct improvement in overall texture and hydration of the skin. Plus it smells divine. My new holy grail product! Image: Supplied. My days lounging in the sun are also behind me. Not that I don’t go outdoors, I mean that life is busy. My time outside is no longer filled with days absorbing rays and magazines but is a walk from the office, or supervising park trips. When I was younger I wasn’t as aware of the damage the sun does to our skin (or I was but I was a headstrong 20 something who the rules didn’t apply to, apparently). Now I’ve realised that it’s crucial to look after the skin we have. I’ve added a daily sunscreen into my morning routine and I keep a travel-sized one in my bag for reapplication. It’s always the women who’ve looked after their skin in the sun who radiate as the years go by. My 30s have also taught me moderation, in so many areas. One of which is the amount of time I do spend outside. For years I would pretend to have skin that I didn’t. But now I know the truth. My skin needs protection and when I am outside I make sure it’s not for extended periods of time without some kind of shade to keep it happy. Sunscreen and water are now two items I have on me at all times. Image: iStock. I’ve also grown to appreciate how important it is to keep your skin hydrated from the inside out - a stark contrast to years gone by. I’m hardly ever without my water bottle, something 20-year-old me would have laughed at. I’d almost be ashamed to tell smug 20-yea-old me that I even have a "water alarm" to remind me to drink more. As I said before, hindsight it a wonderful thing. I always remember my mum telling me to look after my skin. I wasn’t as good to it in my 20s as I should have been, but that’s all changed now that I’m getting older. After all, you don’t get a replacement and I have a new found respect for how precious it really is. My 20s was a time of turbulence for my skin, and it’s not until I hit my 30s that I felt it was truly mine and that I could be comfortable in it. How do you keep your skin looking fresh? This content was created with thanks to our brand partner Nivea.